Nanaosys Archives - Touch Display Research, Inc.
Today is the first day of IFA 2016 exhibition taking place in Berlin. Samsung created a stunning booth with Quantum Dot (QD) technology based on dozens of SUHD TVs. At the Samsung’s press conference yesterday, Samsung announced their new 19 models of Quantum Dot SUHD TVs—the broadest SUHD lineup Europe has ever seen. Samsung also unveiled the world’s first curved Quantum Dot PC monitors available in 24 inches and 27 inches. 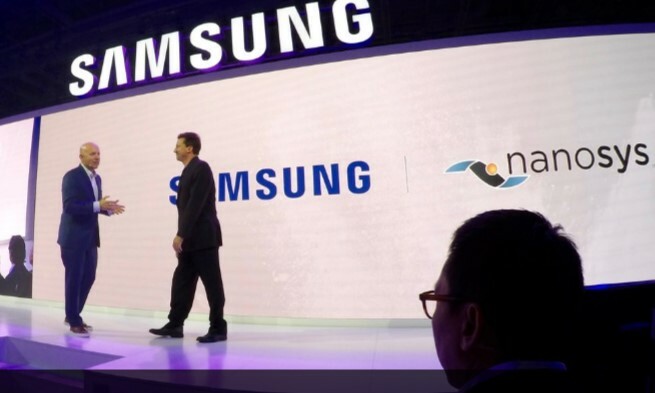 At the Samsung’s press conference, Mr. Jason Hartlove, President & CEO of Nanosys joined Samsung’s Video Display Europe Vice President Mr. Michael Zoeller on stage as a guest speaker. Mr. Hartlove revealed Quantum dot is among the most stable and reliable display materials available anywhere on the planet, enabling superior performance and more environmentally-friendly displays with an extraordinary lifespan. Such is the company’s confidence in the reliability of Quantum dot, Samsung announced a new 10-year warranty for its SUHD TVs with Quantum dot display, protecting consumers against the effects of burn-in for an entire decade. 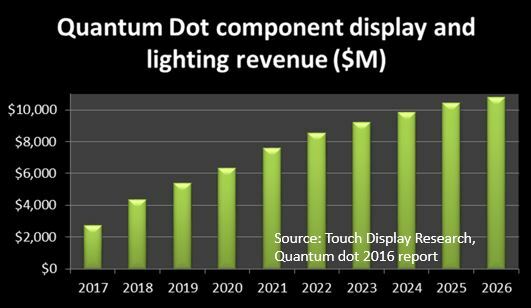 This entry was posted in Displays, Quantum dot and tagged IFA 2016, Jason Hartlove, Nanaosys, quantum dot, Quantum dot market forecast, Quantum dot monitor, quantum dot TV, Samsung, SUHD TV on September 2, 2016 by jennycolegrove.